BJP is desperate to appropriate the legacy of leaders like Subhash Chandra Bose and Sardar Patel by pitting them against Nehru. That's how low its politics has gone. Congratulations, you’ve got your own statue now. It is the tallest in the world. I am not sure if you wanted this, but you’ve got it, so enjoy. Please do send a thank you card from heaven to Prime Minister Narendra Modi, because apparently four and a half years back, you did not exist. You are apparently nothing without Modi, you know that? You made the wrong friends all your life — Jawaharlal Nehru, Mahatma Gandhi and all those unscrupulous people, who only gave you Patel Chowks and assorted roads and called you the ‘Iron Man of India’. Modi gave you real recognition — a statue, the world’s tallest one at that. It was VD Savarkar then, and Modi now, that you should thus always be loyal to. But then, you banned Savarkar’s Rashtriya Swayamsevak Sangh (RSS) for carrying out terror activities, didn’t you? One small life hack for you, as you make Gujarat your new abode — do not ask Modi any questions. Modi doesn’t like questions. You might note that since you’ve been gone, Gujarat has attained one of the highest rates of anti-Muslim violence, and become a Hindutva laboratory. Modi himself was Chief Minister during the 2002 anti-Muslim riots in the state and he never expressed remorse, condolence or apologies for it. But do not ask anything about the values of secularism for which you worked so hard. Modi and his friends don't like secularism either, it seems. Modi says we shouldn’t do politics over your statue. I have never heard anything more naïve. Statues are politics. Period. There is no other reason for statues to exist on any landscape other than establishing one’s politics and authority. Statues are one of the key instruments of ‘ideological state apparatus’. From the statue of Ozymandias to those of the Confederates in the USA, to Vladimir Lenin’s statue in Manipur, we pull down statues, we erect statues, we learn our nation’s politics through statues. We compete for political power and recognition through statues. When Lenin’s statue was violently pulled down in Manipur, no less than the state’s governor, Tathagata Roy, justified it. Statues also gain popularity, and become tourist attractions, purely for their politics. Seldom has a statue become interesting just because of its size or aesthetics. For that matter, statues by themselves, without the politics, can be pretty boring, with birds pooping on them. The Statue of Liberty became a global attraction not because everybody wanted to go see a pretty lady holding a torch. No. It is loved and revered today for the eternal message it gives out, in the words of Emma Lazarus, which forms the foundation of the statue, for representing America as a great torch-bearing nation, ready to accept weak and vulnerable people from all over the world and give them hope, inspiration, and freedom. Statues have politics and Modi built one for you too, to peddle his own politics. You see, Modi and his party apparently wish to rule India for 50 years. The idea might disappoint you, because all that hard work you did, of uniting over 500 princely states into one sovereign nation, has gone for a toss now. Relentlessly and painstakingly, you initiated dialogues with the rulers and convinced them of why they should join India, a secular democracy and not Pakistan, a theocracy. When India gained freedom, the cynics thought it was impossible for a country as diverse as ours, with a bloodied history of colonialism, riddled with poverty and illiteracy, to survive as a nation. They thought in just a few years, there would be infighting and we would disintegrate. But we proved everybody wrong. Our unity in diversity is a political miracle for the world, particularly the European Union, which looks up to us for inspiration as they battle their own right wing hate and bigotry. Who gave India the ‘Unity in Diversity’ slogan? Whose notion was it to produce and promote public service announcements, spreading messages like ‘Hindu Muslim Sikh Isai, apas mein sab bhai bhai’? All that is changing though under Modi and his party. But even the BJP knows that it does not help their case much when they do not have a single leader involved in either the nation’s freedom movement or in the growth story during the formative years. For long, they peddled a supposed hero who pathetically wrote an anonymous article in which he anointed himself as "Veer". Even Rahul Gandhi, who had so far not taken any names, hit out directly at Savarkar and his letters of apology to British government, in a recent speech at Charminar. The fact is, when future generations will ask the BJP-RSS and the Sangh Parivar about their role in India’s growth during the first 50 years, they would have no answers. The BJP is therefore desperate to appropriate the legacy of leaders like Subhash Chandra Bose and Sardar Patel by constantly pitting them against Nehru. That is the very DNA of this party. They pit one caste, one religion against another and gain political mileage out of the enmity. It is shameful that they have not even spared our forefathers and divided them into camps. But the truth is that all of you — Nehru, Bose, Ambedkar, Patel and many more — were all on the same side. And nobody, I repeat, nobody was on the RSS’s side. Lastly, Sardar, coming to the cost of your statue, about Rs 2,989 crore, and its relevance in peoples lives, I have bad news which would not make you happy. “The Statue of Unity, built at an estimated cost of Rs 2,989 crore, could have instead funded two new Indian Institute of Technology (IIT) campuses, five Indian Institute of Management (IIM) campuses and six Indian Space Research Organisation (ISRO) missions to Mars,” IndiaSpend reported. 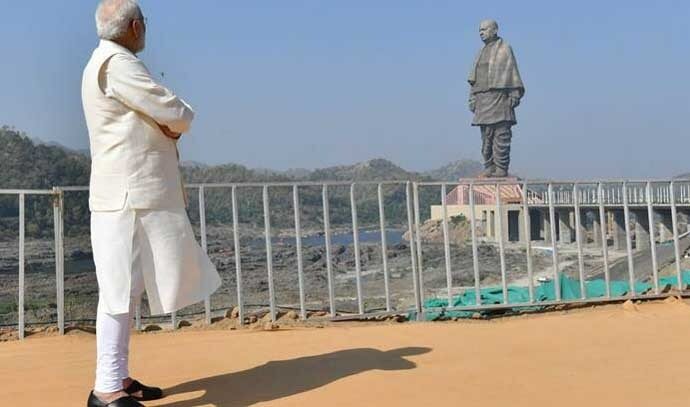 They have named it ‘Statue of Unity’ too, but people are not united over it as there are protests from around 75,000 tribals, who have reportedly been displaced due to its construction. You might have received activist Medha Paktar’s letter in this regard, where she listed out the plight of the adivasis. Let’s admit it, Sardar — your statue will not become more famous than Taj Mahal. For whatever reasons, you just do not have international appeal. To gain that level of tourist attraction, Modi should have made a Gandhi statue. 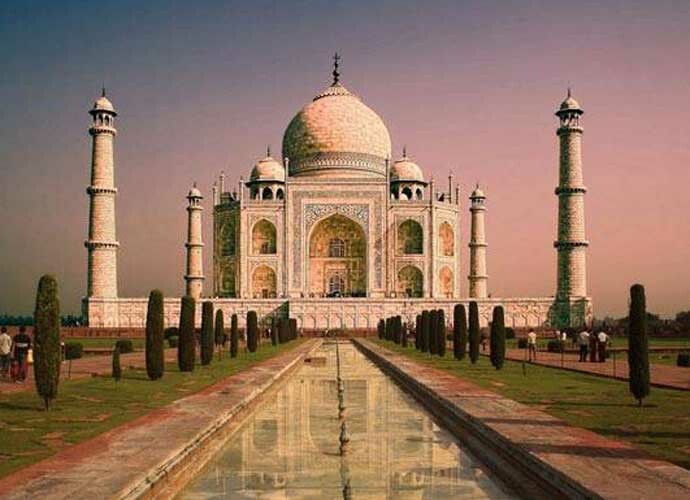 Because there are two things the whole world knows about India —Taj Mahal and Mahatma Gandhi. Don’t get me wrong, Sardar, I am all for a statue for you, but I really wish they spent less money on it, didn’t displace adivasis, and really made it an occasion of unity, love, and solidarity, instead of pitting you against Nehru and making a mockery of our nation’s history.